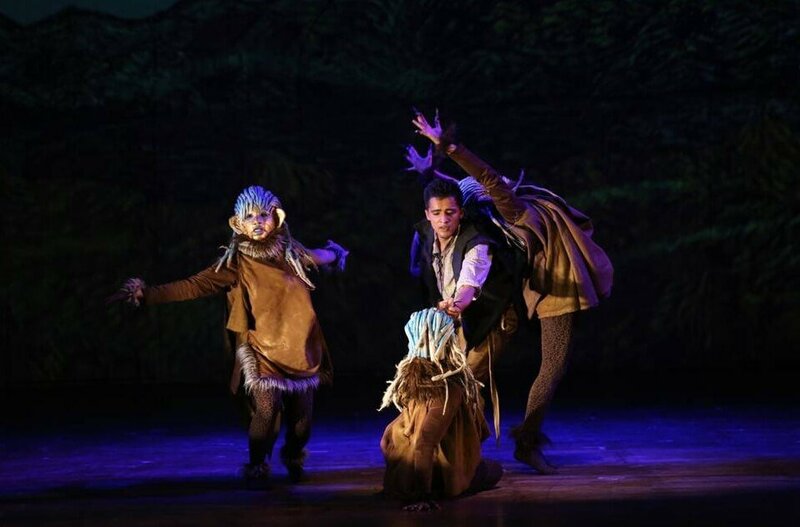 In this presentation, I will talk about the approach to my theatre production NativePeer, based on Henrik Ibsen’s text Peer Gynt, which I directed with the final year students of National School of Drama, New Delhi. The premiere took place on 28 September 2015. In my discussion, I will focus on the process of transcultural adaptation of Ibsen’s text through negotiation with colonially mediated modernity, which represents the juncture of tradition and modernity of contemporary India. 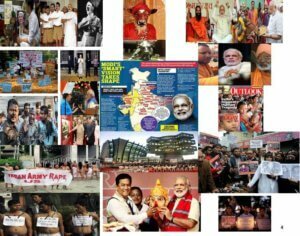 The present situation in India can be understood as a part of a wider notion of colonialist interpellation, which remains implanted within the postcolonial structure. This topographical condition of ‘India’s World’ is interpreted as internal colonialism. The postcolonial state in India has after all only expanded and not transformed the basic institutional arrangements of colonial law and administration, of the courts, the bureaucracy, the police, the army, and the various technical services of government. Before entering into the production process, I started thinking about how Ibsen’s Peer Gyntcould be staged in a meaningful way in India. Clearly, it had to be a transcultural adaptation rather than merely a literary translation. 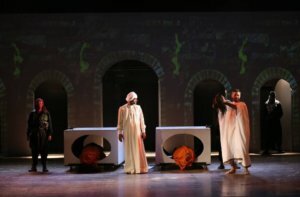 The play-production had to come into grips with their contemporary sociocultural and political situation. I kept all these aspects in my mind when entering into the adaptation of Peer Gynt. My understanding is that Ibsen’s text is far from a “satire on Norwegian egotism, narrowness, and self-sufficiency” as claimed by Ibsen’s contemporary, the Norwegian writer and social reformer Bjørnstjerne Bjørnson. An interesting feature of the play is that throughout his journey Peer Gynt crosses borders and encounters other cultures. This makes a point of departure for re-examining the text within the frame of the sociocultural-political climate of present-day India. 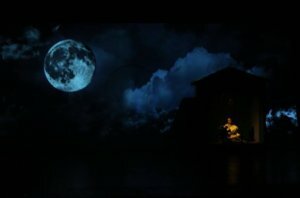 Furthermore, Ibsen’s text is complex, cryptic, ambiguous, and amorphous and therefore well suited to connect to the diversity of the present Indian reality. 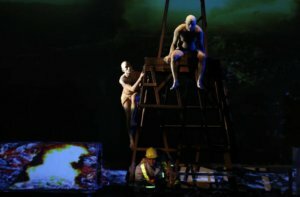 In the process of recreating Ibsen’s text, the crucial task was to demythologize and demystify Peer Gynt through the process of transculturation. The challenge was to create a balanced relationship between Ibsen’s text and major characteristics of the Indian socio-political and cultural context. Through this process, it was critical to maintaining the essence of Ibsen’s play, implying that major relationships between Ibsen’s characters remained but that the modes of these relationships were adjusted to the Indian context in general, not specifically to any of the states. This kind of transcultural adaptation requires a huge amount of negotiation and replacement. Images, symbols, and metaphors had to be replaced by Indian ones that express similar but not exactly the same meanings as in Ibsen’s text. The aim was to create a third – or liminal – space, which is “in between”. 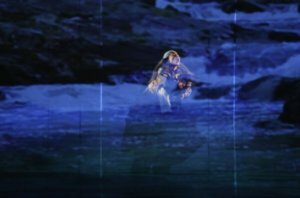 This is not only an aesthetic process but also a political process within the imaginative geography of Ibsen’s Peer Gynt. The notion of my process was thus connected to different temporality and materiality within the socio-cultural-political context of contemporary India. I tried to explore how this notion could benefit from Erika Fischer-Lichte’s concept of “interweaving”. The end result of this process is what she calls “transformative aesthetics”, which she regards as a new theatre aesthetic process. Central to my purpose was her claim that “a new theatre aesthetic through processes of interweaving performance cultures must be regarded as a political development”. To me, the concept of “interweaving” is a metaphor pointing to a continuous motion of inwards, outwards, inwards. Its fluid and dynamic character give space for collaborative and mutual exchange. This is because the characteristics of such operations can be synchronized to occur as in the correct sequence of threads without interfering or disturbing one another. It is like ‘The Weaving Cycle’. Such an encountering process is all about transportation, displacement, and replacement. It is a socio-political-cultural negotiation process. It is a game between co-existence of elements and materials, lots of elements and materials as well as inclusion of new elements and materials. The sensible selection and distribution of elements and materials along with their reasoning is what I would term ‘politics in aesthetics’. It is my reading as well as experience as a theatre director that the notion of “interweaving” is a useful theoretical roadmap for exploring cases where a text from one culture and time period is used in other settings. Transculturation affects the entire culture; it involves the shifting of socio-political, not just aesthetic, borders; it modifies collective and individual identity; it changes discourse, both verbal and symbolic. The approach is based on assumptions about the relevance and potential impact of the performance itself. The concept of “interweaving performance cultures” thus implies examination from two perspectives. In Fisher Lichte’s words; “…both from the perspective of the artistic process that allows for their emergence in performance as well as from that of their ethical, social, and political implication in and beyond performance”. When I used the concept of interweaving cultures to demythologize and demystify Ibsen’s text and further to create the new performance text NativePeer, I entered into a process with two steps. The first step was the decontextualizing process, which implies displacement of time and space, including body and mind, from Ibsen’s textual corpus. The next step was the re-contextualizing process whereby a new corpus was created through negotiation and replacement within the context of the contemporary Indian modernization process. In order to create such a space, I decided to shift from Ibsen’s dramatic structure to the traditional South Asian dramatic structure, which is episodic. Particular features of the dramatic structure of Peer Gynt from the basis for such a shift. The typical dramatic structure of a modern western classical play is a linear process without any fragmentation. The dramatic structure of Peer Gynt, on the contrary, more closely resembles a frame narrative structure, implying that the structure is fragmented and that there are stories within the story and even stories about the story. In totality, it is for me a broken mirror image. I would suggest that the direction of Ibsen’s text moves from consistent(corresponding to acts I to III), to inconsistent(act IV), and further to hyper-inconsistent(act V). 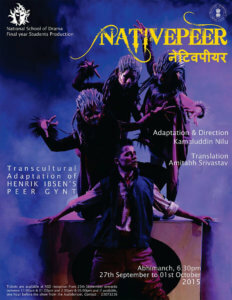 In my adaptation NativePeer, episode I is called “Folk Peer” and is based on Ibsen’s acts I to III. In this episode, Peer is placed in the countryside. The focus is on Peer’s fantasy and the transformation between dream and reality as well as on his self-centeredness and wildness. The direction of this episode is an increasing isolation from the local community. The essence of the storyline is thus the same as in Ibsen’s text but it is decontextualized into a postcolonial Indian rural setting with the notion of freedom. Episode II is a different story and deals with “Global Peer.” It is based on act IV of Ibsen’s play. This part required maximum negotiation in order to adjust with the contemporary Indian situation within the global world. “Global Peer” takes place in Mumbai due to its highly cosmopolitan characteristics, its status as the financial capital of India and its localization by the Arabian Sea. The character Global Peer is a capitalist with a strong wish to become a superstar in the Bollywood movies. Being a superstar in Bollywood is an entry ticket to political and economic power structures in contemporary India. Episode III, based on Ibsen’s act V, brings us back to the village. It is a double-faceted construction metaphorically linked to “Naked Peer,” that is, a man without a core identity, as well as to a body-soil association through Solveig, that deals with the purification of inner self and removes all the veils between divine and man. The concept of such “higher-self” or “pure self” was therefore transformed into the Sufi thought “Nafs” (self or ego), which applies Oneness through the metaphor of mirror. 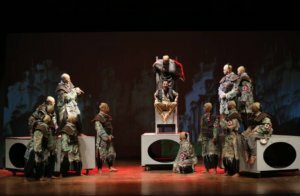 The transcultural adaptation of plays and the transfer of theoretical approaches and concepts to theatre practice is always a highly experimental endeavor. The core of the aesthetic of my production was communication with the audience with the help of Fischer-Lichte’s lens: “Theatre is to be regarded not only as an aesthetic, artistic space but also as a social, indeed political, one”. Kamaluddin Nilu is a theatre director and independent researcher, Norway. He is affiliated with Centre for Ibsen Studies, University of Oslo. He has been Chair Professor of Theatre Department, Hyderabad Central University, India, and Fellow of International Research Center “Interweaving Performance Cultures”, Freie Universität Berlin, Germany. He was a Fellow of The Indian Council for Cultural Relations (ICCR). Kamaluddin Nilu was a member of the jury for the International Ibsen Prize and elected board member of the International Ibsen Committee.